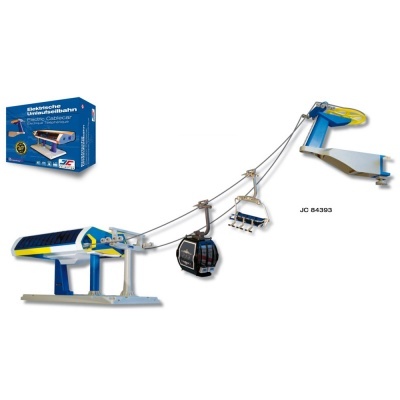 MyVillage™ Miniature Winter Ski Lift Cablecar Electric Model manufactured by Jaegerndorfer provides a fully working Winter ski lift station and ski cablecar set to compliment any Winter themed model display in 1:32 scale. 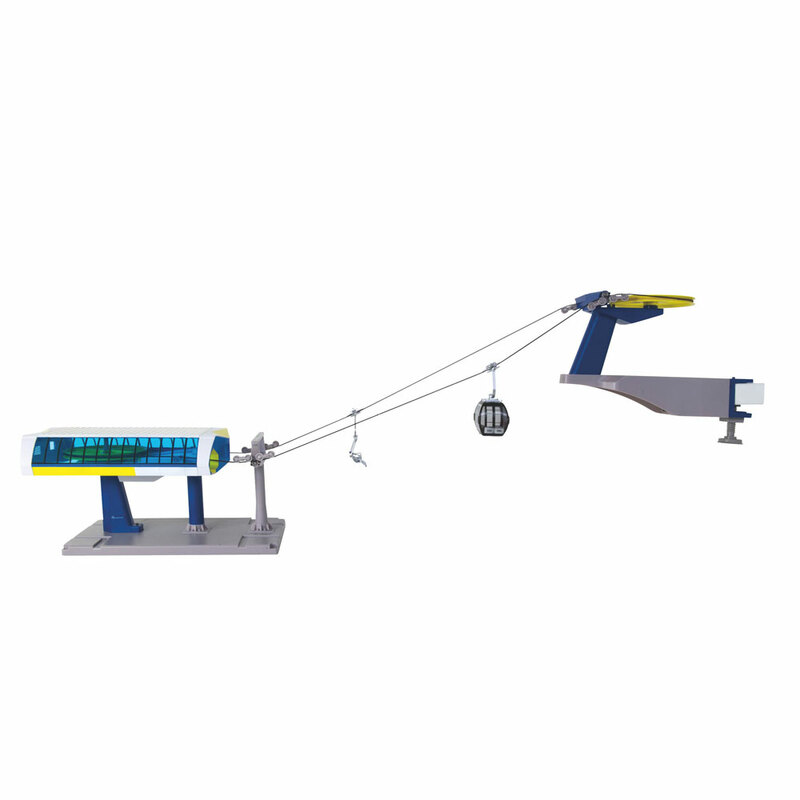 Supplied as an electrified miniature ski lift kit, themed in a Yellow & Blue modern design to add realism to a Winter model scene. Battery operated as standard ( 4 x AA Batteries - not included ) but mains adaptable using power adapter JC53080 (available separately). 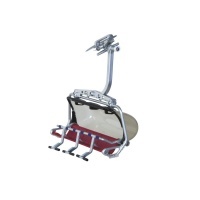 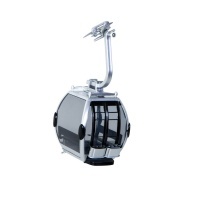 Range of add-ons such as extra gondolas and ski chairs can easily be added by purchasing & clipping them onto the cable.